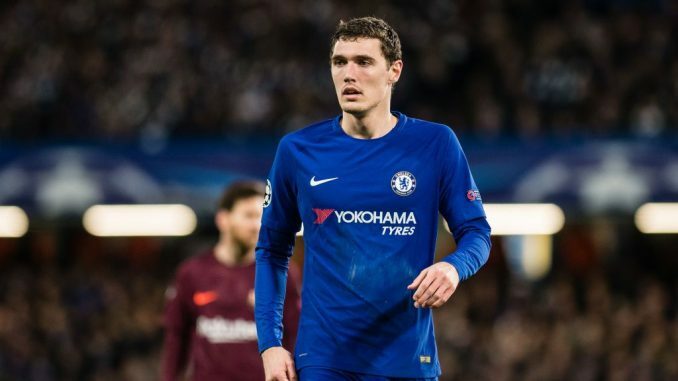 Bundesliga side Borussia Monchengladbach have reportedly joined the hunt to sign Andreas Christensen from Maurizio Sarri’s Chelsea as they are planning to bolster their defensive options. According to reports from the Daily Express, the German outfit want to recruit the Denmark international star, who has fallen heavily out of favour at West London under Maurizio Sarri. Christensen finds himself behind Antonio Rudiger and David Luiz in the pecking order and has often seen English star Gary Cahill preferred to him in central defence. The likes of Barcelona and AC Milan have been recently connected with respective swoops for the centre-half but according to the Daily Express, Monchengladbach have entered the hunt. It’s reported that die Fohlen would be keen to take the 22-year-old star on loan until the end of the current term. Andreas is no stranger to Bundesliga football and did spend two seasons with Borussia Monchengladbach during a long-term loan deal. Chelsea are said to be interested to avoid selling the promising centre-half but could be open to the prospect of loaning him out, with his senior-team opportunities limited.